Following a series of drop in events held in both Exeter and Torquay a further update is planned for the 10th April at the Dawlish Methodist Church, Dawlish, EX7 9PB. At the update it is expected that Network Rail representatives and engineers will update the local communities on the new sea wall. 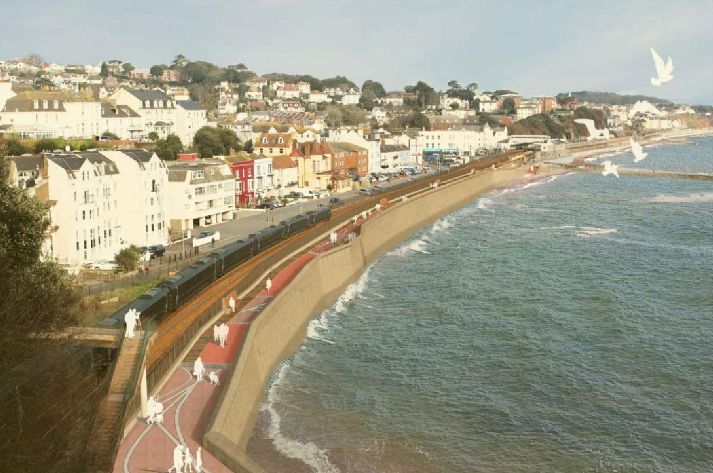 The wall is expected to help improve the resilience of the stretch of railway that connects the South West with the rest of the country. These drop in sessions have been organising following the Secretary of State for Transport, Rt Hon Chris Grayling MP announced £80m worth of additional funding being made available to increase the height of the sea wall at Dawlish. Further community drop in events are planned for Holcombe and Teignmouth, later in the Spring. If you are unable to attend you can contact the national helpline on 03457 11 4141 or can follow @SouthWestRRP on Twitter or Facebook. Previous articleSouth Devon College Appoints Laurence Frewin as new Principal & CEO.